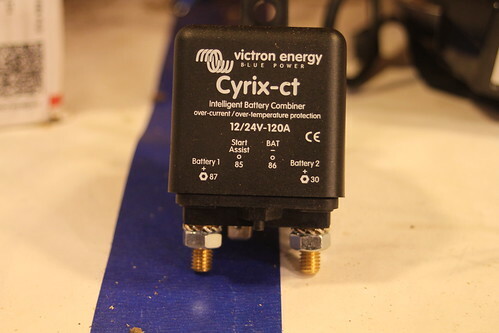 Victron Energy makes a special sort of relay. 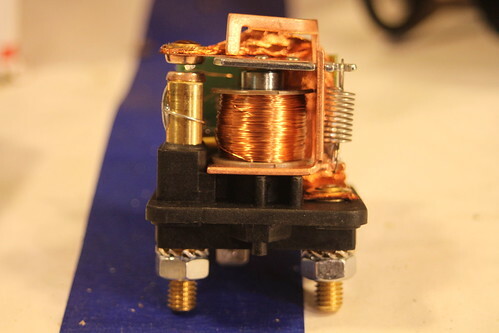 Used for joining two battery grids, this relay will engage when the voltage of either grid exceeds a threshold. 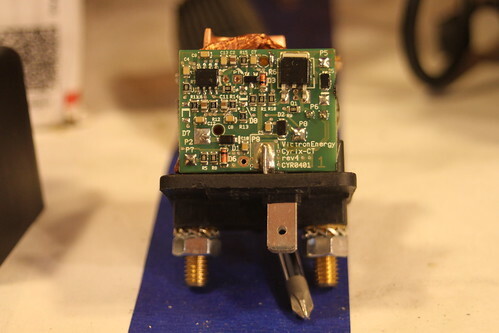 This enables connecting the battery and alternator on a vehicle to another battery with a hardline or solar charger. Inside we find a giant solenoid responsible for shorting the positive lines of each battery system together, as well as a PCB with what appears to be some protection diodes, a large transistor for switching the relay, some voltage sensing logic, as well as a large cap on the back of the PCB not pictured here.